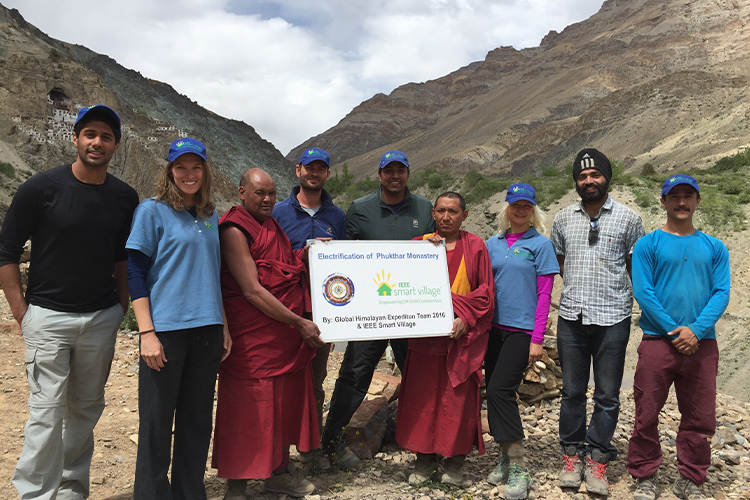 This June, I had the opportunity to travel with IEEE Smart Village and the Global Himalayan Expedition (GHE) to Zanskar Valley in the mountainous region of Ladakh, India. 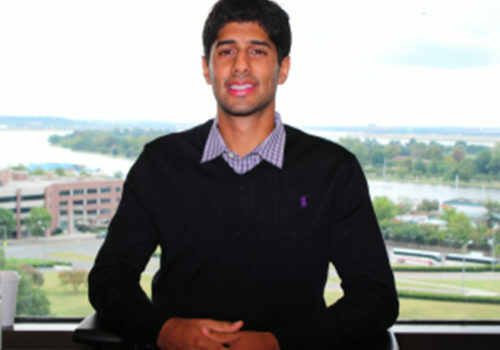 As a Graduate Fellow with the Tata Center for Technology and Design at the Massachusetts Institute of Technology (MIT), a key part of my research is analyzing and modeling the potential for smart solar micro-grids for rural electrication. On this journey, I saw it in action. Made up of people who had self-selected to make an impact, the group was comprised of 18 brave souls from 13 countries, all with various backgrounds and stories to tell. The journey to the Phugtal Monastery was grueling: it involved a two-day bus ride, a day of biking, and a day and a half of trekking. The Ladakhis warmly greeted us at every stop, welcoming us with tea, and the young children were eager to meet new friends from abroad. As we approached the Phugtal Monastery, hiking single-file on the winding mountain road, I had to pinch myself to be sure I wasn’t on a movie set. The scenery was dreamlike: the fluttering prayer flags atop a windy mountain pass, the marmots and wild horses grazing alongside glacier water streams, the canopy of the stars framed by the jagged mountain peaks. After greeting the lamas (Buddhist monks), we saw the Phugtal monastery, built in the 12th century around a natural cave seemingly hanging like a picture frame on a nearly vertical face of the mountain. With headlamps affixed and paper in hand, we spent the rest of the day interacting with the lamas and discussing where and how many lights were needed. Given the vertical nature of the monastery, we were forced to be detail-oriented when wiring all the lighting loads together; we also had to figure out how to nail in the lighting fixtures on the mud and wooden structures. The difference we were about to make was clear: many of the ceilings in the monastery’s rooms were charred black, stained by generations of smoke from burning kerosene lamps. The monks were very interested in how clean power would change their lives. The next day, we went right to work: we installed seven modular micro-grids, each with a 250W solar panel, and 2×100 Ah lead-acid batteries. GHE had designed its own charge controller and voltage regulator which had the ability to adjust the power to and from the batteries as needed, maintain the network voltage, and distribute power to the lighting loads. Each of these individuals, DC micro-grids had the ability to serve roughly 30x3W LED’s and a 20W street lamp. With so many lights to be installed, wires to be laid, and connections to be made, I enlisted the eager lamas to help. Their willingness to learn and lend their newfound abilities was much needed and appreciated. On the third evening, all 257 lights, 7 solar panels, and 14 batteries were in place and tested. As we gathered in the main prayer hall with all the lamas of the monastery, we powered up each micro-grid one at a time. I’ll never forget that moment watching the dangling bulbs overhead light up for the first time. I researched the design and operation of micro-grids as a graduate student, but I have always known that there is more to micro-grids than just numbers and models. GHE and IEEE Smart Village showed a unique perspective on what it really takes to make micro-grids sustainable and practical. In addition to the technology itself, their holistic approach involves local elected officials and requires working hand-in-hand with local residents to understand their lifestyles and needs. I will always be thankful for this experience of a lifetime.